Footage can be reviewed and saved to a smartphone with the free app installed, or computer with the accompanying software. When a vehicle's ignition is turned on, the Dash Camera starts recording video, audio (if microphone is turned on) and location data. 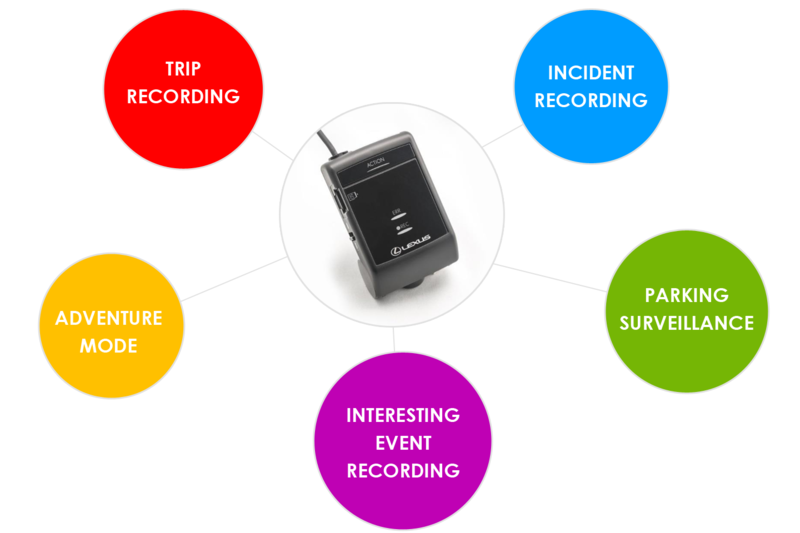 It has special video event recording modes to capture and protect important videos. With a high quality, industrial grade micro SD card, footage will continuously record 1080p HD footage in a loop, allowing you to capture every moment of your drive. When micro SD card is full, oldest files are automatically overwritten. With the help of the G-sensor impact detection, footage will automatically lock on the micro SD card for retrieval at a later time. You will not have to worry about anything but the safety of everyone involved. The Dash Camera will record up to 60 seconds following an impact while parked. At the push of a button, automatically protect 12 seconds before and 8 seconds after an event. Manually protect up to an hour of footage at the highest quality video setting.